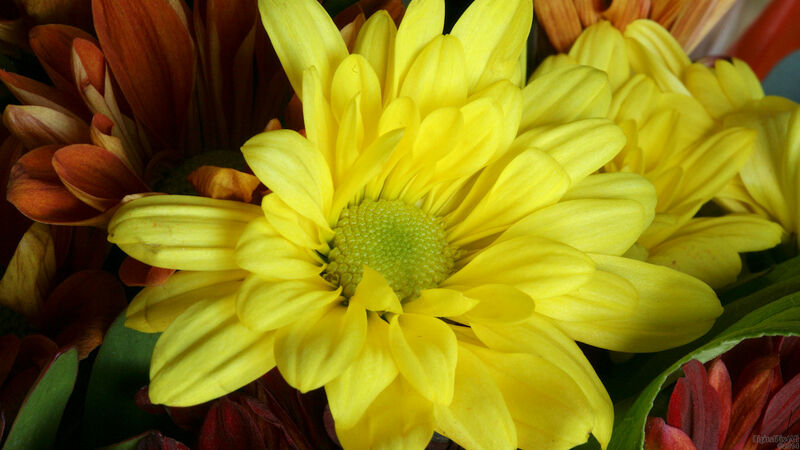 Photo of a yellow flower from a bouquet. Enjoy! Bkgrnd flowers are nice balance! You sure do buy Bonnie a lot of flowers!! Thanks so much, Nikos and sed. This bouquet was from Bonnie to me. This is a gorgeous shot Ed!!! "This bouquet was from Bonnie to me"...how wonderful!!! Thanks very kindly, Barb and Richard.